Manifattura Milano: a challenge we all can learn something from. Really a lot. 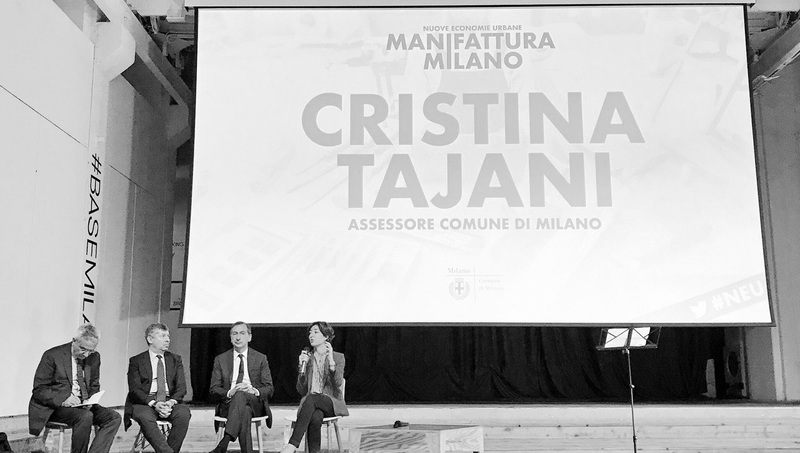 I took part in the presentation of the program “Manifattura in Città” promoted by the Municipality of Milan, as a representative of Innovazione by Apa Confartigianato Imprese. 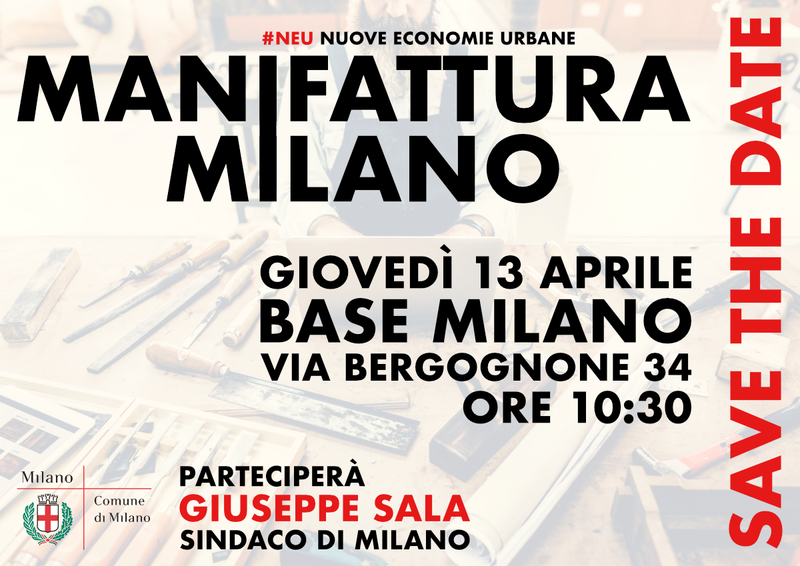 “Manifattura Milano”, this is the name of the project presented yesterday at BASE, is an extremely important initiative, we can even say it is unique in this area, promoted by the Municipality of Milan whose aim is to propose an operative project as for manufacture. Just up to some years ago we were not be able even to imagine we could take part in the presentation of a project promoted by a municipality and directed to the vision of the artisan work, a job hardly taken into consideration. 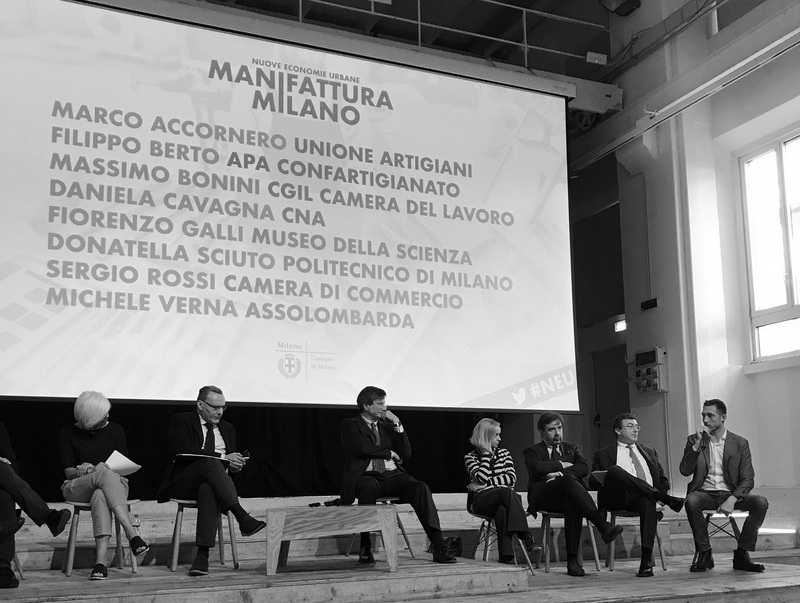 But nowadays we are actually talking about “Futuro Artigiano” and “New Craft” and about the municipality of one of the most important towns in Italy that has developed a long-term program whose aim is to create a new reference model, and we mean the “Modello Milano” (“Milan Model”). 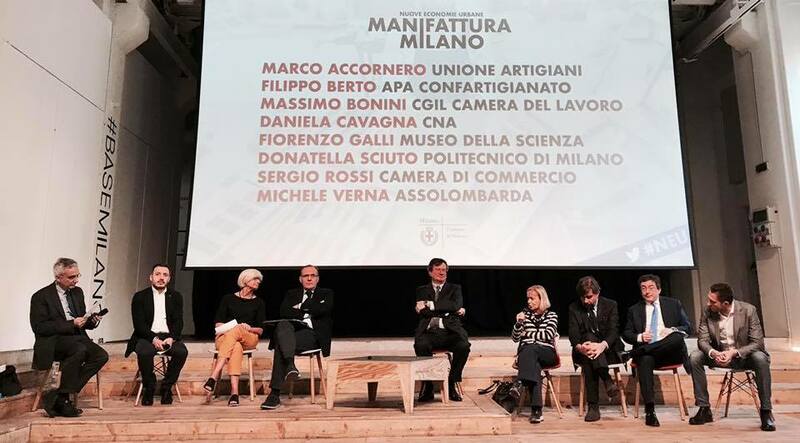 Yes, because the city of Milan, economic and business center at European level, has decided to invest a great amount of resources in order to allow the town to become a development laboratory for the whole country, by creating an eco-system we can set ourselves up in, grow and develop innovative projects as for digital manufacture. Confartigianato had the honor of taking part in the building of this project, by making a part of the know-how available, which is the main ingredient for the best result of the project and very well represented by the companies taking part in this project. 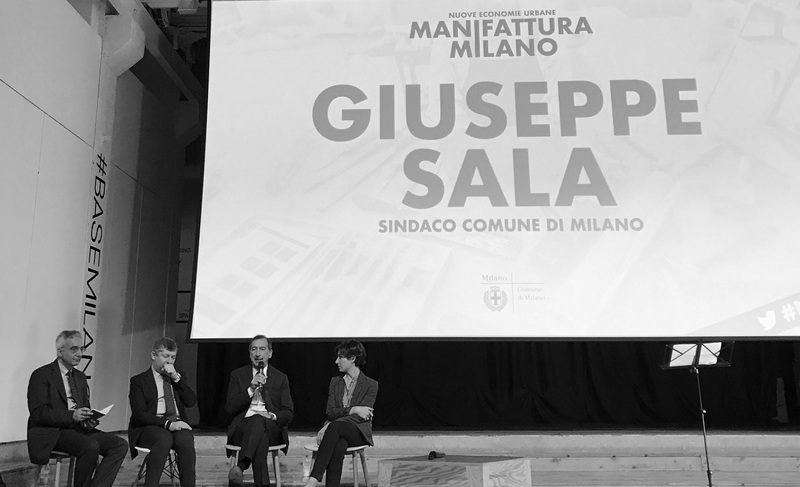 On the first part of the meeting Stefano Micelli described the result of his research and Renato Galliano and Annibale D’Elia – Economic Innovation Department Municipality of Milan – explained the guide lines of the project. Stefano Micelli described some of the Italian and international sceneries and explained the strong effect of the new manufacture processes promoted by new urban platforms, by taking the successful results achieved in different big cities as an example (Barcelona, Paris, New York). 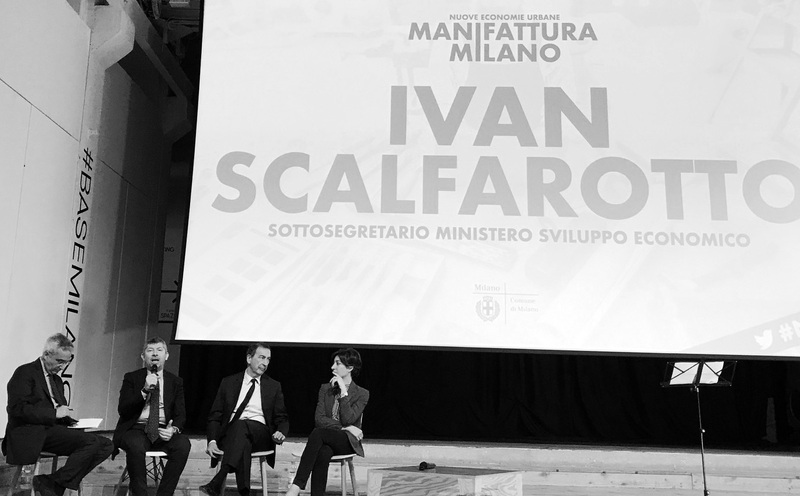 Many institutional representatives were present at the meeting: the Mayor of Milan Beppe Sala, the Councilor Cristina Tajani and the Undersecretary for International Commerce and Investment by the Ministry of Economic Development Ivan Scalfarotto. Their words really explained the great effort the Municipality of Milan did together with all interlocutors taking part in the initial part of the project and they underlined the great responsibility of the people now involved in the project. We share the same responsibility with the representatives of all associations, corporations and universities attending the meeting moderated by Dario de Vico, journalist by Corriere della Sera: Massimo Bonini General Secretary of Chamber of Work, Fiorenzo Galli Director of Museo della Scienza e della Tecnica, Sergio Rossi General Vice-secretary of the Chamber of Commerce of Milan, Donatella Sciuto Vicarious Vice-rector of Politecnico of Milan, Michele Angelo Verna General Director Assolombarda, the president CNA Milan Daniela Cavagna and Marco Accornero General Secretary Unione Artigiani. They meant responsibility because from now on we must really keep on trying. We would like to bet with all friends and colleagues and start immediately working on the contribution the network of all companies may offer to this project (let’s think about some themes we really care about like training). Milan is now offering a great chance today: it supports the training of new artisans but, above all, the most important thing we have to keep in our mind is that there is a lot we can always learn from the contact with others, from open-mindedness and from the great possibility such an experience is offering to all companies today. Now it’s up to us. We take on this challenge and can’t wait to start!